To find a salon that offers the ChromaTech Service, click here. 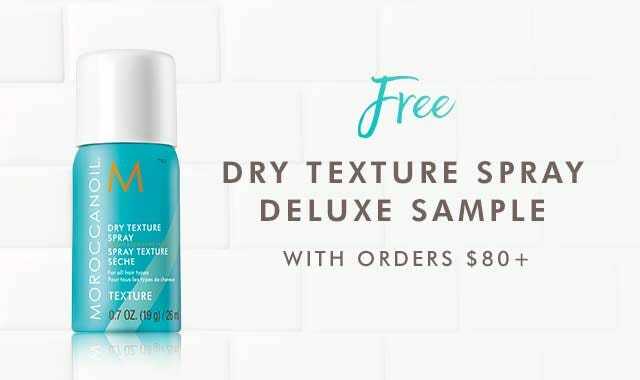 *Based on clinical test conducted on human hair against a control group after 5 washes, versus 10 with the Moroccanoil Color Complete regimen. After shampooing, apply Color Continue Conditioner from mid-length to ends. Leave on for 1-2 minutes. Rinse well. For best results, use with Color Continue Shampoo and the rest of the Color Complete regimen. • COLORLINK™: uniquely creates cross-links throughout the keratin structure, helping to trap haircolor within while forming a protective shield that prevents haircolor washout. • ArganID™: positively charged micro-particles are attracted to the negatively charged hair fiber, infusing argan oil into the cortex while simultaneously helping to repair and seal moisture in the hair. • Ceramide 3; Ceramide 6 II; Ceramide 1; Phytosphingosine; Cholesterol: a blend of ceramides that have the ability to restore the skin, provide moisturizing benefits and enhance natural protection for a healthy scalp. • Quaternium-91: a blend of softening and conditioning agents. Disclaimer: Ingredients listed may vary slightly from products received. Before use, refer to packaging for most up-to-date in ingredient information and any warnings or instructions.